One of my favorite aspects of Malaysian culture is how there’s literally someone on every corner waiting to sell you something tasty. For example, a couple of weeks ago a guy set up a shave ice stand outside my apartment complex. (I keep meaning to stop by, but his hours are unpredictable.) The local supermarket is no exception; in addition to a subterranean indoor food court, Pizza Hut, and KFC, there’s an open-air food market. I was feeling a bit peckish, and noticed a new vendor selling something snacky and fried. I wasn’t sure what it was, but it must be tasty if it’s fried, right? 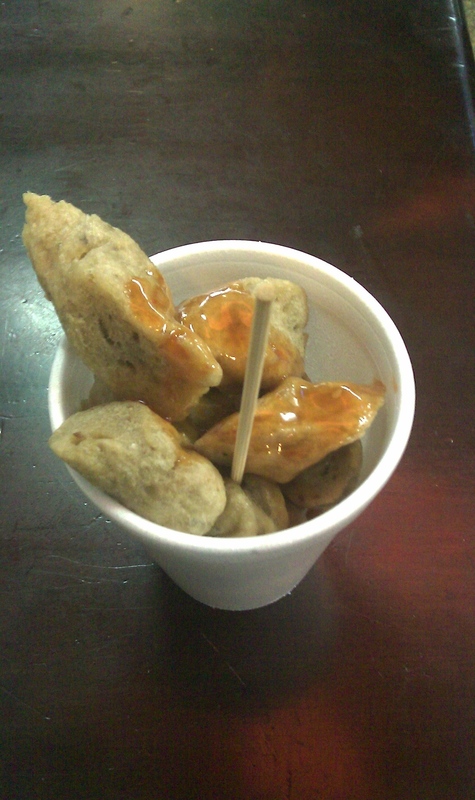 Anyway, it turned out to be keropok lekor, a kind of fish sausage made of Indian mackerel, sago flour, and pandan leaves. It comes freshly fried (these food vendors usually have a propane tank for cooking on the spot) and doused in sweet chili sauce. The texture was unexpected: the outside is crisp, but the inside is spongy, like savory styrofoam. It was also chewier than your average fried snack (though not in an unpleasant way). Very different from Japanese or Korean fish sausage, which tends to be more like a hot dog made of fish paste. I think I prefer the chip form, though. 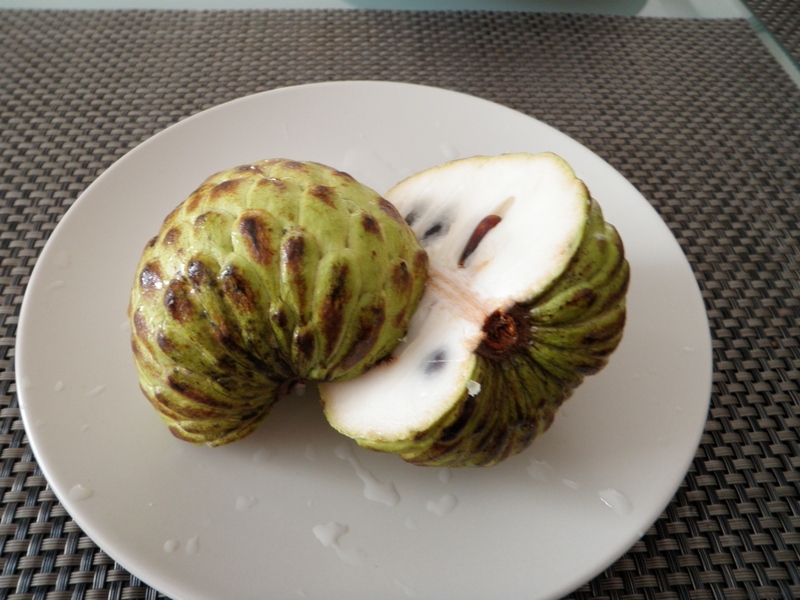 My love for strange tropical fruits is well–documented on this blog. The alien ovum-looking thing above is called a “custard apple,” or buah nona (which literally translates to “lady fruit,” according to Google). The English moniker, at least, much more descriptive than, say jackfruit, since it’s about the size and shape of an apple and has a creamy texture. 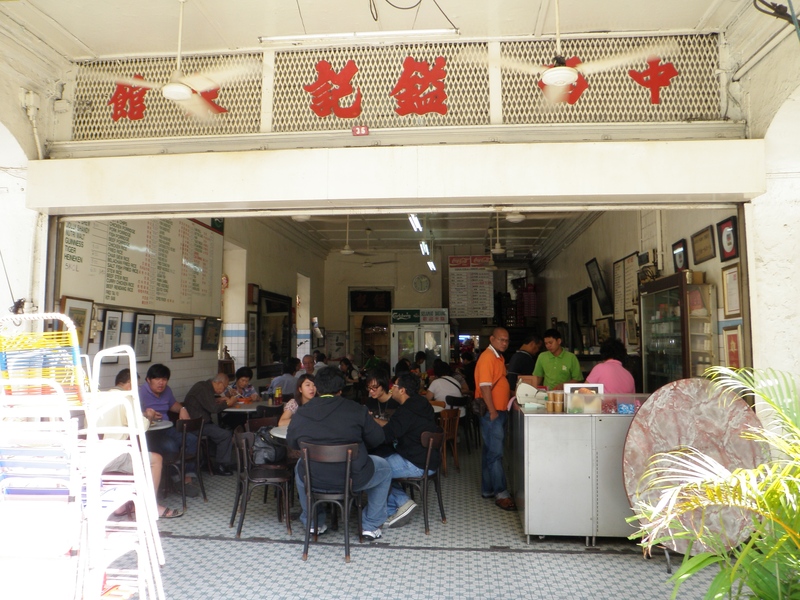 Kopi tiam refers to the little Chinese coffee shops that dot the Malaysian and Singaporean urban landscape. Kopi, of course, means coffee, and tiam is “time,” so literally, “coffee time.” (Try saying it with a thick Mandarin accent for the full effect.) They’re like diners in America: family-owned businesses full of old men reading newspapers and crabby ladies serving comfort food, though in Malaysia that’s more likely to mean noodles than pancakes. And, like the true diners in the US, the old-guard kopi tiams are increasingly getting pushed out by chains like Old Town White Coffee and Pappa Rich, which trade on the nostalgia of Malaysians who want to have their air conditioning and eat their roti bakar, too. Luckily, I found Bayan Indah, which came highly recommended and had a whole slew of classes that sounded intriguing, including one called Home-Style Malay. (They’ll even teach your maid to cook, in case her skills aren’t up to par.) 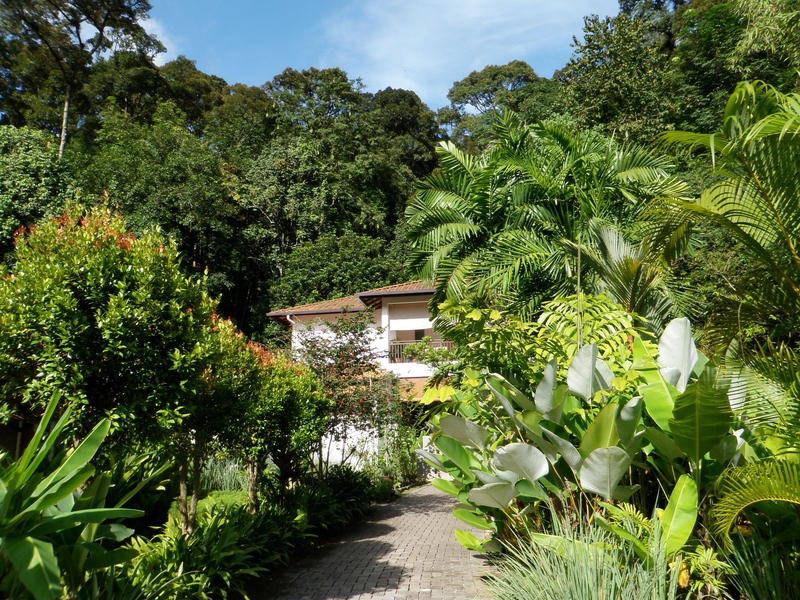 The menu — chicken braised in soy sauce, cassava greens in coconut milk, banana-leaf grilled fish with chili dip, and a Nyonya-style cake — sounded perfect. (Click here to go straight to the recipes.) Plus it was only 10 minutes from my house.